Auto-rickshaws are a quintessential feature of Indian cities and a crucial form of transport for millions of urban residents. The Rickshaw Rising Challenge seeks innovative ideas from Indian business endeavors that have the potential to revolutionize the country’s auto-rickshaw sector. Photo by Larry Johnson. 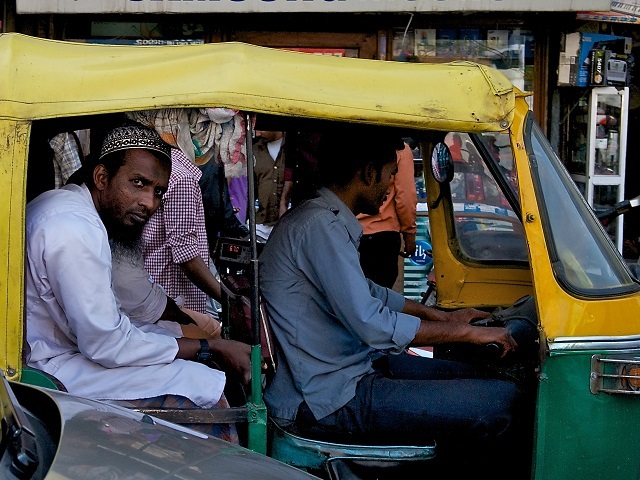 Do you have a business solution that has the potential to deliver large-scale improvements in quality of service, access, safety, environmental impact, and livelihoods in India’s auto-rickshaw sector? The Rickshaw Rising Challenge is calling for applications from Indian business endeavors that have the potential to revolutionize the country’s ubiquitous auto-rickshaw sector – a mode of transport that provides mobility to millions of people, but remains largely unorganized. The Challenge, launched on November 15 by EMBARQ India and the Shell Foundation, is the first platform in India to bring entrepreneurs and private enterprise together with the goal of changing the face of urban mobility in the country. The Rickshaw Rising Challenge brings visibility to the untapped opportunity for businesses to provide one of the world’s most pressing needs: sustainable mobility in cities, where over half of the world’s population now lives. India’s urban population alone is over 391 million, and on track to grow by an additional 200 million by 2030. How we move in our cities – in India and elsewhere – impacts everything from health and income to how we work, play, and live, making the present the ideal opportunity for business to transform how we think about transport. The last decade has seen a major shift in businesses’ role in solving some the world’s most complex problems, but urban transport challenges have traditionally been left to the public sector. In India, increasing pressure on urban infrastructure due to rapid population growth and increasing private motorization is driving the need for new solutions in urban mobility. It is more important than ever to support and engage private sector enterprises that are advancing innovations in sustainable urban mobility. With virtually every country in the world becoming increasingly urbanized, we need solutions that make intermediate, public, and non-motorized modes of transport accessible, affordable, safe, and desirable for all urban residents. Although EMBARQ experts estimate that the current private investment in transport worldwide is about $500 billion, only $179 billion of that is going to developing countries. Further, spending by development institutions on transport is $14 billion total, but only $3 billion on sustainable transport. Integral to the intermediate public transport (IPT) sector of Indian cities, three-wheeled auto-rickshaws comprise between 10-20% of daily commuting trips. However, the unorganized nature of the sector poses serious challenges, including poor quality of service for passengers, poor safety and environmental performance, and low income for drivers. EMBARQ India’s comprehensive work in this sector reveals that there are significant opportunities to develop viable business models to organize the sector into fleet services and use innovative technology solutions to improve quality of service, reduce emissions, improve safety, and increase driver earnings. Entrepreneurial initiatives in the auto-rickshaw sector do exist in terms of fleet operations, engine and fuel technology, smartphone applications for user information, and driver training services, but so far these businesses haven’t been able to scale-up – that’s where the Rickshaw Rising Challenge comes in. The key to enabling business initiatives in sustainable transport to scale and achieve widespread impact is creating an environment that includes early-stage financial, technical, and business support, in addition to pushing for reforms and innovation in government regulation. The partnership between EMBARQ India and the Shell Foundation combines these conditions through the Rickshaw Rising Challenge. The immediate goal of the Rickshaw Rising Challenge is to support businesses that will transform the auto-rickshaw’s competitiveness as a safe, efficient, and sustainable travel option, as compared to private motorization. The larger goals are for the Challenge to act as a catalyst to jumpstart a movement of entrepreneurs to develop sustainable transport business models, and for the Indian Government to recognize and enable the important role private businesses can play in the urban transport sector. Situated within a broader effort to leverage more funding from the national government and private sector for sustainable urban transport, the Rickshaw Rising Challenge offers a great opportunity to strengthen the relationship between the government, entrepreneurs, and investors to promote in sustainable transport in India. Interested participants can learn more about the Rickshaw Rising Challenge on its website, and should submit an application before December 20, 2013 for a chance to secure up to US $50,000 of funding and 6-months business support. Jyot Chadha is a Fellow at EMBARQ India who works to develop strategies for EMBARQ India to engage with entrepreneurs and the private sector. She conceptualized and led the launch of the Rickshaw Rising Challenge, and can be contacted at jchadha@embarqindia.org. Going the last mile: Does connectivity influence sustainable transport usage?